Just as they are today, tobacco cards were heavily desired among collectors. But while today’s cards are too expensive for most children, that wasn’t the case when early tobacco cards were introduced in the late 1800s and early 1900s. The accessibility to the cards became somewhat of a national concern. ‘Problem’ may be too strong a word to use but there’s no doubt that adults were often greatly against children collecting cards. Two reasons seem to be at the forefront of that. For one, the children were using the cards as a form of gambling. The other relevant reason was because of their ties to tobacco and what the obsession was leading to. We know this from many old newspaper articles documenting the cards. But were those reasons justified? Before we get there, let’s take a look at the earliest collecting habits. 1909 is often the time period cited for the beginning of tobacco card collecting for children. Nothing could be further from truth, though. The real collecting actually began in the late 1800s with the earliest cigarette cards. Even as early as then, cards were being swapped between youngsters and, according to the Sioux City Journal in a 1909 article, the going rate for cards being bought and sold by children in 1889 was three for a nickel. Cards were collected in rather large quantities early on, too. An interesting article in the Punxsutawney News in April 1895 cites a large fire. The fire is notable in this context as it mentions a cigarette card collection numbering in the thousands that was destroyed as the cards had been tacked to the wall. In 1896, a Boston Globe article cited a man that had collected more than 1,000 of the cards, which he had received entirely from packages of products he consumed by himself. Some children were known with as many as 500 cards. Many others, surely, were building large collections as well. The ills to collecting were not limited to the people that collected the cards, mind you. Sam Jones, a famous preacher, talked specifically to the women that appeared on the cards. These women were often not dressed modestly and Jones wasn’t having it. He chided the mothers of the young women that appeared on the cards, chastising them for the clothing worn. Still, all of that aside, 1909 is usually cited as the time when the official cigarette card collecting craze mostly began. By that time, baseball had grown into a more popular sport and 1909 also marked the beginning of the famous T206 card set with production through the roof. More importantly was the difference in subjects. 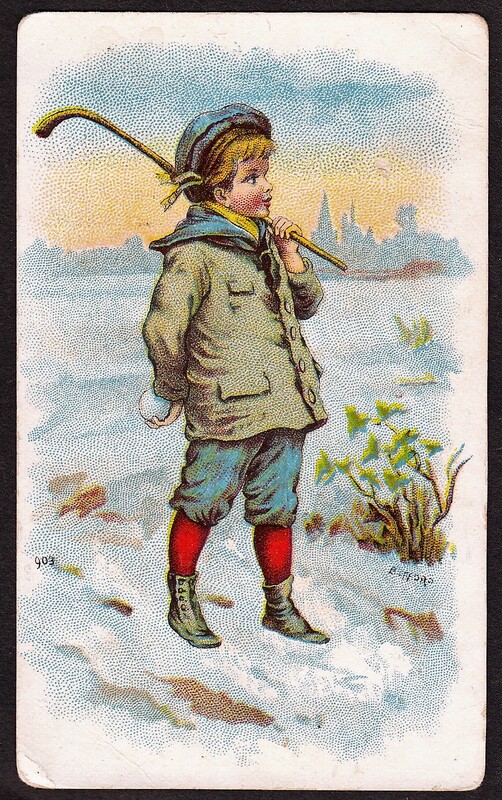 The cards were more colorful, more appealing, and while the women got the attention of boys in the 19th Century, pictures of baseball players were much more desirable. Speaking of women, it should be noted that, of course, all collectors were not males. I imagine more women collected cigarette cards than we like to believe. Remember that baseball cards are only a very small portion of the cigarette collecting universe and other subjects would have appealed to women as well. In looking through old articles for this piece, I got a good laugh from a woman named Sallie Kingsbury, who had lost her coat and advertised as such in a Lost and Found. Simply put, the cards were everywhere and that meant kids were becoming quite the annoyance. The kids were becoming what was deemed as a pretty significant problem. ‘Problem’ may be too strong a word but people had definitely had it with this idea of them collecting cards. But what was the issue? In short, the children would pester tobacco-buying adults, bothering them for the cards. Now, it wasn’t necessarily parents that were at the forefront of this battle to find a way to curb collecting. Some of them certainly were. But the issue here wasn’t just about them trying to keep their own children in line. The children were becoming an annoyance to communities in general. Sometimes, even putting themselves in dangerous situations, chasing after wagons and trains in pursuit of passengers with them. At least one was even killed, as he was run over chasing a card in a somewhat famous case. Along those lines, other violence was seen from the cards. Two children in Philadelphia were fighting over the possession of some in 1910 when their mothers got involved. One of the mothers ultimately shot and killed the other. Again, this interest in collecting didn’t start in the 20th century. Old newspaper articles as far back as the 1800s point out similar issues. The Critic, a Washington, DC publication, makes one of the earliest mentions of this kind of behavior. The article also cited another problem with this kind of behavior that wasn’t mentioned much elsewhere. And that is that the children were becoming accustomed to striking up conversations with adults with which they shouldn’t be. Undesirables, so to speak. Children had no problem approaching adults they didn’t even know and, as you can imagine, that’s not a great situation. You hear it everywhere. if you walk along the street smoking a cigarette you are sure to be hailed by forty youngsters within the length of a block, and dozens of them loiter about the tobacco stores and the man who goes inside for a package of cigarettes finds that he has pledged the picture, contained therein, long before he has completed the purchase. Further, just as adults today complain about children forsaking more ‘hands-on’ activities in lieu of electronics and smart phones, the same types of complaints were being heard then. The Dispatch cites that games of ‘Tops and marbles’ were being forsaken for the cigarette picture card match, which was the new juvenile pastime. Finally, keep in mind, this wasn’t only an American problem. As documented on this site, there were numerous cigarette cards produced internationally. The Sydney Morning Herald published an article in March 1904 indicating that, “Got any cigarette cards, mister?” was a commonly heard phrase in Australia, too, as children scrambled to gather cards of cricketers. While I have seen evidence of gambling games being played by children as far back as 1890, the act of flipping cards seemed to be most popular starting around 20 years later in 1909. Earlier games involved throwing cigarette cards near specific targets. 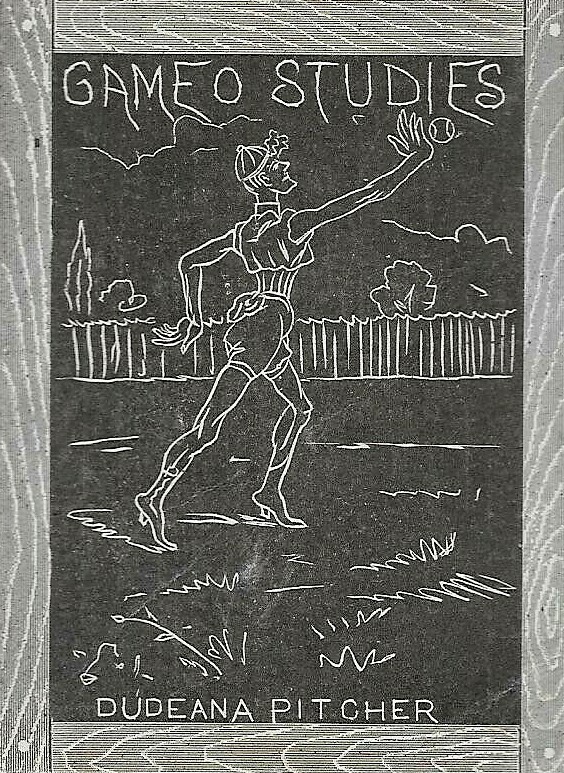 But by 1909, a different style of game started to take shape. Most adults weren’t against baseball or even pictures of baseball players. The root of one of the problems was that they were being used as part of a flip game, which was seen as gambling to many. Now, these kids weren’t gambling with money. Rather, they were gambling with the cards themselves. In short, the cards were flipped and the way they landed (face up or face down) would determine the winner of the card. One player would flip a card and if it landed face up or face down, the second player had to flip his own card landing the same way. If he did, he won both cards. If not, the first player would. Again, this seemed to really gain in popularity around 1909, which leads us to believe that flipping became popular with the T206 set. Part of the incentive for that wasn’t only the cards. I mean, the children wanted the cards. But part of it was because of a vague $10 offer for a complete set. Now, this wouldn’t have been for the entire T206 set as we know it today. We know that because references for the offer were seen as early as 1909 and the full set was printed through 1911. The $10 offer, presumably, would have been for only a set of the cards issued earliest. The $10 offer isn’t quite understood completely. While a $10 offer is repeatedly mentioned in old newspapers, it isn’t stated how or where a collector would redeem the set. Presumably, though, it would have been at a local newsstand or vendor’s store where the cigarettes were sold. Interestingly enough, while many know of children playing these sorts of games with early tobacco cards, they were not entirely limited to younger age groups. Some men enjoyed the cards, too, and as the Staunton Dispatch-News cited, even some adults were caught up in flipping cards. A July 1909 article mentioned a sight of three prominent businessmen (store owners and a banker) flipping cards. That isn’t surprising, of course, since there are many adult collectors today. But it is an interesting insight into the time period when most envisioned this solely being a child’s hobby. In addition to the gambling claims, tobacco use was also a real issue when it came to the card collecting. There is no doubt that the cards encouraged young children to smoke as several accounts exist of that. And of course, the baseball cards were cited as the culprit. A 1909 Charlotte Observer article, for example, stated the tobacco industry was to blame for making cigarette addicts out of the boys. However, for many children, I imagine, it was purely all about the cards. We get a glimpse of this from an interesting article in the Greensboro Daily News in the fall of 1909. A burglary occurred in a Winston-Salem drug store on August 6 where children broke into a tobacco case and opened all of the cigarette packs, pulling out the cards of the baseball players. But instead of consuming or even selling the cigarettes, they merely packaged them back up and left them. The children also took other things in the store, including sweets and other items of interest to boys. But the fact that they left the cigarettes showed they had zero interest in them. And while there was no doubt that some boys took up an interest in tobacco products, just how many were doing that was in question. The Concord Times, for instance, cited that few boys under the age of 14 were consuming the tobacco. And while 14 is not exactly an elderly age, the paper cites that children had begun smoking years ago. Further, the article indicated that most children did not have the money to buy the tobacco and that the cards from that vantage point were not really causing a problem. Their observation was that the children were getting the cards from adults rather than buying and consuming tobacco products. Other robberies occurred in similar ways. The boys broke into stores, mostly interested in the baseball cards and candy while leaving the cigarettes behind. The issues about the earliest cigarette cards actually had another problem. Some of them were considered to be too racy for children. While that might sound ridiculous, it is indeed true as risque pictures of women were often included in packages of cigarettes as opposed to baseball players. But while that was an issue in earlier cigarette card sets, later, it became purely about the gambling and tobacco use. The gambling and tobacco use that would follow were problems for many. But it almost feels like a lot of the hand-wringing was done, often without much reason. But sure, more nuanced adults better explained why they didn’t like the idea of children collecting these cards or even tobacco use. But what could they really do about it? Some wanted to ban the cards. For example, in 1909, the school authorities in Millville, Pennsylvania prohibited the trading of cigarette cards citing both the gambling and tobacco use aspects. I have to imagine many other schools did the same. And sometimes, they wanted real, actual penalties. According to the Staunton Dispatch-News in 1909, a Washington judiciary recently declared the gambling aspect flat out illegal. Calling it the “cigarette picture-card match,” they declared it to be a form of gambling, which was a misdemeanor and punishable by a legitimate fine. I haven’t seen any evidence of the fine actually being enacted there but they weren’t the only town trying to crack down on the flipping. The Union Republican, however, did cite such an example of the enacting of an ordinance. In an August 1909 issue, a warning was given to boys by the newspaper, claiming that matching the baseball cards was indeed considered gambling as decided by a police justice. Now, keep in mind, that wasn’t to prevent the flipping of cards. Rather, it was a complete ban on their existence in general. Finally, while an actual penalty wasn’t associated with the collecting, one community did get some insight and a bit of a declaration from preachers. The Ashville Citizen-Times mentions a revision of the city’s Moral Code. Among things such as not drinking alcohol and smoking was a mention that citizens should not allow children to collect cigarette cards and also that adults should even frequent the baseball diamond. While the cards were decried by many, not all agreed with the harsh treatment of the collecting hobby. Some turned the tables on other adults, even. A 1909 article in the Newberry Weekly Herald, for example, points out the hypocritical nature of adults. Old reprobates who have bought and sold cotton that never existed by the hundred bales … who never missed a horse race when the opportunity to be present was offered; who drop their nickles in the clock every time they buy a cigar or drink a glass of soda water in the hope that they may get three; who take chances at every raffle that comes their way — these fellows, fitting their thumbs and fingers together, drawing down the corners of their mouths and talking about the harm of the kids flipping the pictures is like unto a fool parent with a six-inch stogie in his mouth, telling his child it is wrong to smoke. In summary, the cards did certainly cause some issues. Tobacco use, theft … these are things that can’t really be denied. But the severity of those problems among most of the population seemed to be overblown to some degree. And, after all, if collecting cigarette cards of baseball players was the worst a parent had to deal with, I’d say they had it pretty easy.